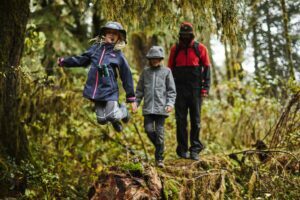 With the school summer holidays just around the corner, a family hike or walk seems like a great way to get outside and enjoy each other’s company. Ireland is an excellent country for walks and hikes, as there are trails of all difficulties that can be tailored to you. Here are our tips for family walks! Once you go off a footpath, babies and toddlers will be much happier in a carrier rather than in a pram. Baby carriers sit on the parent like a backpack – look for ones that are comfortable, light and have attachments to add sun protectors and rain covers. Remember, to check the baby’s temperature. They will feel the cold sooner so bring layers for the little ones. Be aware of the sun as well and bring hats and suncream. 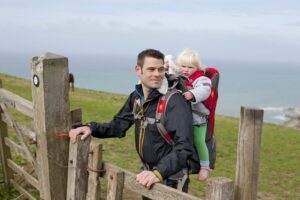 Younger kids will want to run free- so a good idea is to give them a backpack with reins. They will feel happy with a bit of independence and you can be assured that you can rein them in if the track gets busier. They’ll also love the cute characters our backpacks come in and will feel grown up being able to pack their own bag. Dressing them in bright colours helps you keep an eye on them as they run on ahead. If they’re a bit older, why not give them some responsibility and get them their own backpack? This will save you carrying all their gear, and they’ll be happy to pack their jacket, water bottle, and snacks themselves. Stop for snacks…but clean up after! Remember that their little legs will tire easy so be prepared to stop for breaks frequently. When energy is flagging, stop for a rest and pull out an emergency snack to give them a boost. Make sure everyone has enough water. The kids will probably be running in circles around you as you walk so they are sure to build up a thirst and will need extra hydration. 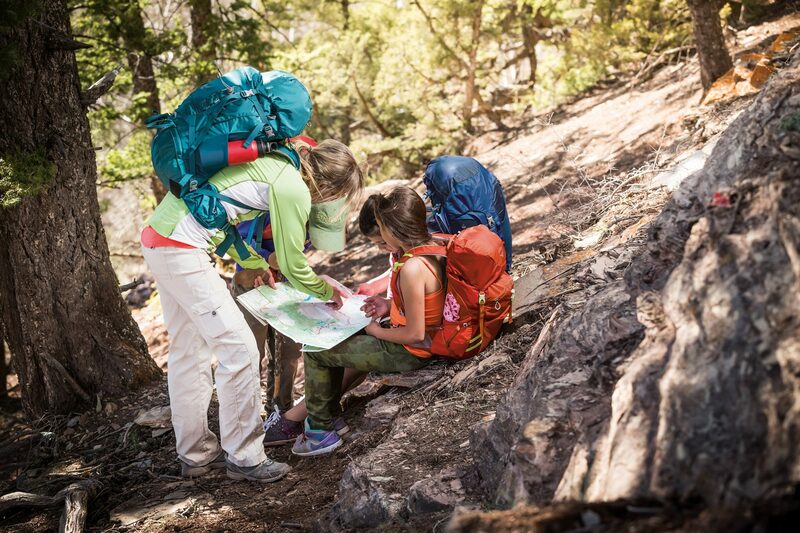 After stopping for breaks and picnics, encourage the kids to check you haven’t left litter – this is perfect time to teach the concept of Leave No Trace. It also means beloved teddy bears and toys are less likely to get left behind. Looped routes that twist and turn can be more exciting for children rather than a long straight flat track. Keep them excited by wondering out loud “I wonder what’s around the corner..?”. Think about the track you’ll be on – is it shared by cyclists? It is important to keep the children to one side of the path and listen out for bike bells. Will there be gates? Teach children the importance of closing gates behind you. Turn the walk into a game. Encourage the kids to spot different insects, birds and flowers or interesting landmarks. If the noise level gets too high you can challenge them to a silence contest- tell them they might see more animals if they’re really quiet. We know the weather can change in an instant, so be prepared with proper outdoor clothes – sun hats, sun cream and rain gear. Share your adventure photos with us over on Instagram! Or you can Shop our entire kids range here.